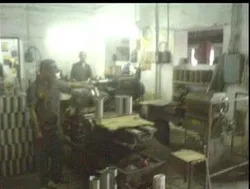 Manufacturing and Trading of auto parts. 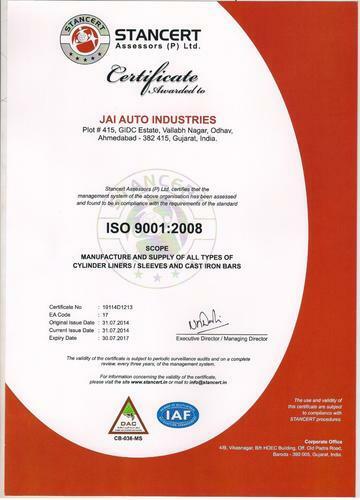 Established in the year 1975, we, Jai Auto Industries, are an ISO 9001:2008 certified organization engaged in manufacturing, supplying and exporting a wide range of Cylinder Liners, Cylinder Sleeves, Car Engine Cylinder, Piston Pins etc. Meeting the requirements of numerous industries, these products find application in Tractors, Engines, Diesel Air Compressors, Motor Cycle and Scooter. Our range is renowned for its durability, excellent performance, dimensional accuracy, application specific design and corrosion resistant features. Based at Ahmedabad, India, we have all requisite facilities to carry out the manufacturing process in tandem with the international quality standards. 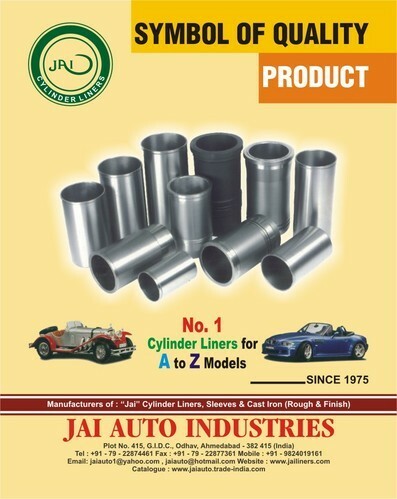 These precise Cylinder Liners are marketed under the brand name 'JAI'. Since our establishment, we are committed to provide optimum quality products as per the specific application requirements of our customers. Backed by latest technology and a technically trained team of professionals, we ensure that Cylinder Liners offered by us stand high on quality and performance. Further, we have a wide sales & distribution network that is spread across the Indian Subcontinent. All these factors have helped us in exporting our range to different parts of the world. The foundation stone of our organization was laid down by our mentor, Mr. Tarun Shah, a visionary, who holds sound knowledge about automobile industry. His hard work and dedication have helped us in attaining a prestigious position in the market. “Our Mission at Jai Auto Industries is to be the foremost supplier of the best Quality Product. Year after year, we have been setting goals and successfully achieving our targets, thus progressively marching in the direction of our Mission”. To achieve & sustain Quality of the product continuously. 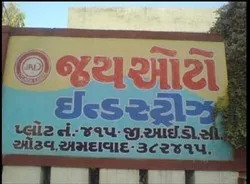 To provide confidence in its own management. To create confidence in the customers. Our order processing is computerized, allowing us to monitor each order as it goes through research, development, and manufacturing up to shipping. Integrity is an important word around Jai Auto Industries. Integrity is at the heart of our product development and quality control as our products move toward the customers' end uses. Sophisticated quality control always begins with the best raw material and continues with consistent performance in the laboratory. 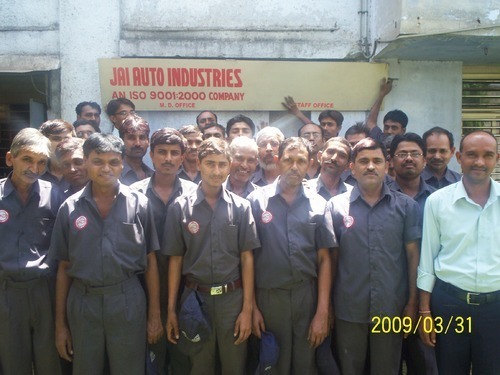 Since 1975, Jai Auto Industries has been known around the world for its quality products. Our standard is conformance to customer requirements 100% of the time. Being a quality centric organization, we are an ISO 9000:2008 certified company. We are well-supported by highly competent and dexterous team of professionals, which are responsible to carry out our entire business activities efficiently. 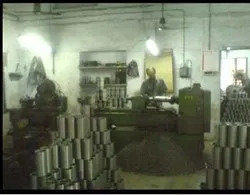 They hold rich industry experience in their respective area of specialization to develop optimum quality range of cylinder liners as per the specific demands of our customers. These professionals work in tandem with each other to provide excellent products coupled with quality services. It is owing to their innovative approach and dedication, we have been able to scale greater heights of success. Being a customer oriented organization, all our endeavors are directed towards serving our clients in the best possible manner. It is due to our streamlined business operations that we have been able to offer a quality range of cylinder liners that finds application in various industries. We update our production facilities in accordance with the latest technological advancements in the market. This helps us to meet the growing demands of our clients meeting their specific application need. Our workforce is dedicated to complete the task with precision and deliver the ordered consignments within the stipulated time frame. Capitalizing on our in-depth industry knowledge, advanced manufacturing facilities and ethical business practices, we have garnered a long list of prestigious clients like Luna, Hero Honda, Kawasaki, Royal Enfield Bullet and Maruti, to name a few.